Vevios is the future safety alarm for elderly and chronically ill. It works like a wearable cell phone and enables to secure communication between user and Homecare. This mobile safety alarm creates a freer and safer everyday life. Elderly with safety alarms are exposed to risk at home; that help not arrives when urgently required. This is, as the alarm, which must ensure contact with home care, doesn’t work. Today's alarms bind users to the home and give a false security, which had fatal outcomes. Vevios, is a mobile safety alarm that increases the safety and freedom of elderly in- and outside their home. It does so by solving the following three problems: Communication, design and ergonomics. 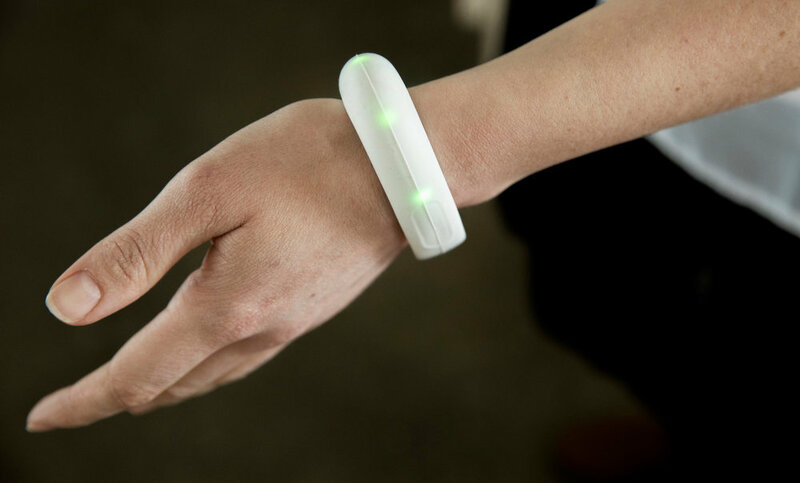 Vevios is a wearable mobile alarm which operates to work everywhere. In the case of an emergency the user can easily position him or herself and communicate directly through the integrated microphone and speaker in the Vevios bracelet, until help arrives. Vevios enables a safe and secure feedback to the user thanks to its red and green lightning and vibrating system throughout the alarming process. The direct communication creates safety in emergencies and can help saving lives. The Göran Bredinger scholarship was handed out in 2017, in correlation with the Social Innovation Summit i Malmö.